Aberiro Can Transport Grain Fast! Jim! Thanks for your support of the Village Bicycle Project! Easy access to the farm! Atulley is thrilled to ride instead of walk and get places fast! Yahaya used to walk six miles, six days a week! Bismark's new bike will allow him to take more photos! Aberido is thrilled to carry produce on her bike instead of her head! Azumah will increase her income and save time with her bike! 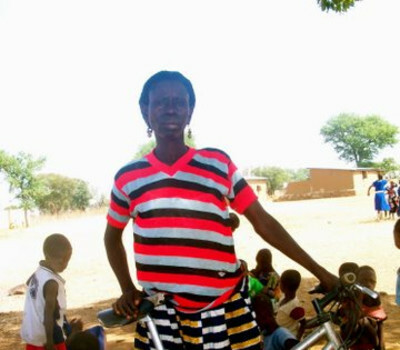 Bikes make life better for Kwabena! Apoogegun and her son are excited to ride their new bike! Awigke will build her business and income with her new bike! Abogango will increase her income and help her family with her bicycle! Abdulai used to walk 16 miles!